James B. of Screw Loose Change recently commented on my FAQ article posted at AE911Truth and, surprise surprise, he wasn't very impressed. He says the claims in my article are "ironic (and moronic)," but the real irony here is that he clearly didn't carefully read what I wrote. So, what are James' brilliant criticisms? "They then go on to argue that the collapse started in the location where the aircraft did not have its major impact, ignoring the whole point that the fires were the primary cause of the collapse,"
First off, I did NOT ignore the issue of the fires, as I addressed that later in the article. The point I was making is that the collapse began at the floors with minimal damage, meaning that the planes likely would not have disrupted any of the demolition devices placed at those floors. I discuss this issue in greater detail here. While nanothermite seems to have a lower ignition point than conventional thermite, nanothermite explosives can evidently be engineered to avoid accidental ignition. As for James' claim that (1700 F = 927C) is "well within the temperatures produced within a normal office fire," the fact remains that there is no evidence that the fires in the Towers reached that temperature. So no James, my article does not disprove "both assertions." It supports the assertion that both thermate and nanothermite were used to demolish the Towers. The issues of what types of materials were likely used in the Towers and how they could have been used and set off has long been addressed. James' post is full of nothing but meaningless insults and illogical arguments. Hopefully his reading comprehension improves in the future. We first frame the issue by noting that the answer to this question does not negate the evidence that the Towers were destroyed through controlled demolition. 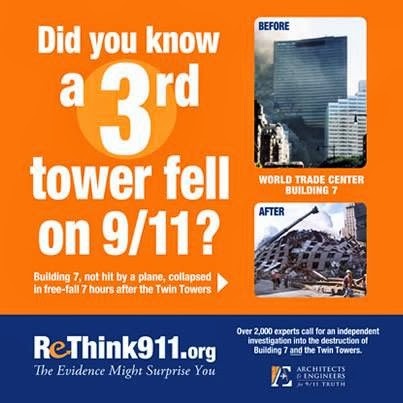 The massive amount of evidence gathered by AE911Truth and countless others demonstrates that the combined effects of the impacts and the ensuing fires do not account for the complete and explosive destruction of the WTC skyscrapers. The explosive destruction of the Twin Towers actually began at floors with minimal damage from the planes. In the North Tower, the collapse began at the 98th floor, which in fact had minimal structural damage. Only the tip of the right wing cut through that floor. Left: WTC1 north face; Right: Damage relative to a Boeing 767. Note that only the tip of the starboard (right) wing cut through the 98th floor. According to the NIST report (NCSTAR 1, pg. 87), the collapse of the North Tower began at this floor. Though the NIST report never specifically states that the 98th floor was the least damaged, the information provided in their report clearly demonstrates this as the case. The 98th floor had only five perimeter columns severed, and the table provided in NCSTAR 1-2, pg. 205 indicates that NIST does not list floor 98 as having any of its core columns severed. If the demolition was started at the 98th floor, where there was the least amount of damage from the plane, then the plane's impact would not have had any serious effect on well-designed devices placed on this floor. 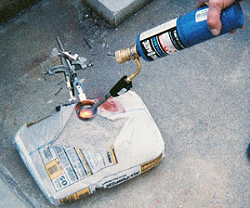 In this experiment, “normal” thermite did not ignite when heated with a propane torch. Similarly, the “super thermite” found in the WTC dust could not have been ignited by the jet fuel and office fires in the Twin Towers. Dr. Jones’ point about triggering the thermite with electrical superthermite matches is noteworthy because, as pointed out by Los Alamos National Laboratory, these types of matches can be made to “resist friction, impact, heat, and static discharge through the composition, thereby minimizing accidental ignition.” The same article notes that one application of these matches can be to trigger explosives for demolition. Partly because thermate produces bright orange light while burning, Stage 1 is allowed time to run to completion before Stage 2 commences. In the South Tower, some thermate pushed by the plane crash from the building's core to its corner generates an orange spout lasting from about T-7 to T-2 minutes. Critics contend this material is molten aluminum from Flight 175. However, these claims have been shown to be false. Even if the devices were affected in some way by the planes, this does not automatically mean that the overall demolition of the Towers was affected. If anything, the molten metal flowing from the South Tower is very likely evidence of thermitic-based devices placed in the building which may have been disturbed and ignited by the plane impact itself. The JREFers are excited about this, but some truthers a worried this may be a whitewash, and it may very well be, but look at this another way. What we have here is an admission from the JREFers that the Harrit et al paper should be taken seriously. For years, they have simply dismissed it on procedural grounds - questioning the peer-review, calling the journal a "vanity publication", making a big deal out of editorial controversies etc. For years, we've been saying "put up or shut up" and they've been saying there's no need to "put up" because that would just give the paper and the theory undeserved legitimacy. NIST, for example, said that the thermite hypothesis simply wasn't credible enough in their view to warrant investigation. The fact that they are now attempting to replicate it, even if their intentions are to whitewash it, is an acknowledgement of the nanothermite hypothesis's scientific legitimacy. All this testing will do is probably further expose Steven Jone's, etc... as frauds and maybe help misinformed believers of the thermetic pseudo-scientists. Pseudo-scientists"? Do you even know what "pseudo-science" means? Something is "pseudo-scientific" if it is presented as science but is untestable using the scientific method. Obviously Harrit, Jones etc. 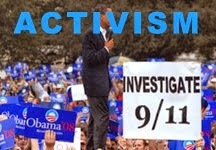 are making testable claims because otherwise the debunkers wouldn't be able to do what they are planning to do! There's something you need to understand about science... you don't have to be right. That's the beauty of it. You can be wrong and still be doing science. In fact, most scientific claims do turn out to be wrong. There's no shame in it, that's how science progresses. And when an idea is found to be wrong, it doesn't mean it loses its status as "science". You're allowed to think Harrit, Jones etc. are wrong if that's what you believe, but don't call them "pseudo-scientists". And frauds? Scientific "fraud" means to intentionally fabricate data. If you're calling Steven Jones a fraud, you're also calling his colleague Jeff Farrer a fraud. You're also calling Gregg Roberts, Frank Legge etc. frauds. You're also calling Jim Hoffman a fraud. You're also calling Mark Basile and members of Ae911truth who've also tested the red/gray chips frauds. You're also calling everyone who supplied Steven Jones with dust samples frauds... So that's, what, at least 15 concious frauds, none of whom have any apparent motive. Nice conspiracy theory you have there Jeff! I eagerly await the results of Dr Millette's tests. In fact, I want more independent scientists to look at the red/gray chips. I probably won't trust Dr Millette's tests alone if they fail to replicate the results of Harrit et al, because there's always the possibility that he could be engaging in a deception. However, if we had like 10 different teams of scientists all testing red/gray chips from different dust samples and they all failed to replicate the findings of the original paper, then I would concede to the debunkers. 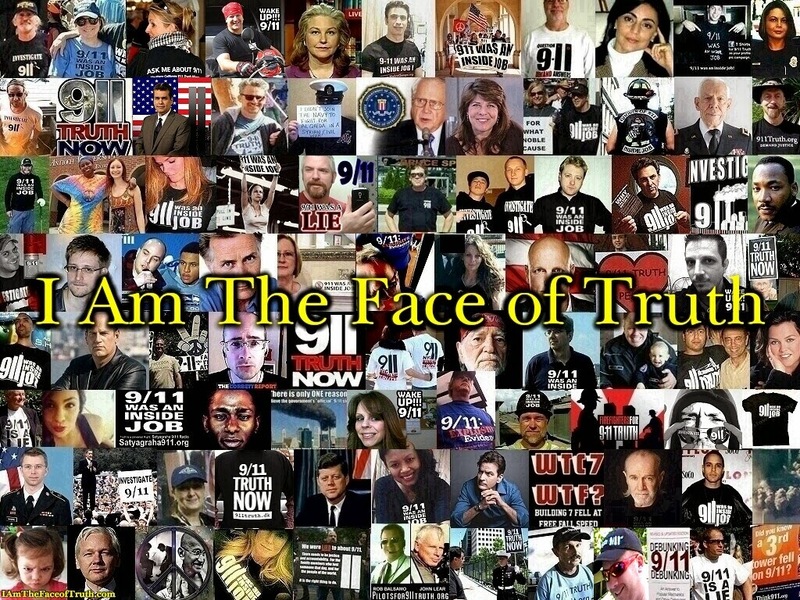 Abstract: The widespread belief among those who question the official account of 9/11, that a large plane did not hit the Pentagon on 9/11, is unsupported by the evidence. 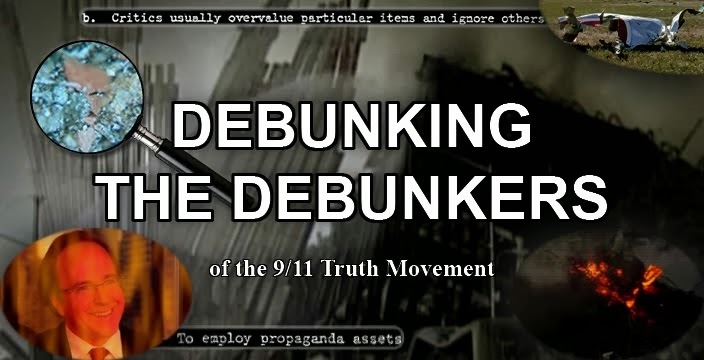 The failure of the 9/11 truth movement to reach consensus on this issue after almost a decade is largely due to a failure to rigorously apply the scientific method to each proposed theory. This paper, by so applying the evidence to each proposed theory, shows that a large plane hitting the Pentagon is by far the most plausible theory.